I actually had this post dated since last year to coincide with Peter Jackson’s The Hobbit: An Unexpected Journey. My intent was to explore people’s love for Tolkien and his work, which includes The Lord of the Rings and The Hobbit. One of my jobs as a writer is to figure out why people enjoy certain stories. But more than anyone I can think of, Tolkien stands out, because he has inspired writers and spawned imitators like no other. While people adore Harry Potter, outside of Rick Riordan’s The Lightning Thief, there are not nearly as many boy wizards gracing book covers as elves and dragons. I do not wish to besmirch anyone of my profession, but a particularly successful and prolific author, who I will simply call not-Tolkien, penned a novel about a human, dwarf, elf and a halfling (a small beardless dwarf) embarking on a quest to find the lost home of the dwarves, a mine abandoned after a dragon moved in. If that’s not plagiarism, I don’t know what is! And yet agents and editors continue to give the Tolkien wannabes freedom to Xerox. Tolkien’s greatness so overshadows the fantasy genre, publishers seem to be falling over themselves in a rush to make more of it. My question, ultimately, is why? In 2012, I looked to find an answer, and gave up. On strictly literary terms, The Hobbit is unremarkable. While charmingly written, it’s no Shakespeare; the plot is intentionally simplistic, as it was intended for children; there is no symbolism nor grand literary themes like you might find in the classics; and even the characters are fairly one-dimensional, with the exception of Bilbo Baggins, who has only a slight a character arc. In the nine-hour documentary accompanying The Hobbit Blu-Ray, Peter Jackson admits that the greatest challenge to making the film was giving the twelve dwarves interesting and distinct personalities, for which I have to ask, wasn’t that Tolkien’s job? How can there be so much love for a book and its author when its twelve main characters are clones of one another? Snow White’s seven dwarfs had distinct personalities for Middle Earth’s sake! Some people say that Tolkien, as the father of modern fantasy, can be excused of his literary failings, but the genre dates back to Homer, and continued through the middle ages with the Arabian Nights, the Viking and Finnish sagas, and moved on to the Grimm’s Brothers. Shakespeare had a hand in it, as did Edgar Rice Burroughs, who wrote John Carter in 1912. Other fantasists who predate Tolkien include H.P. Lovecraft (1890-1937) and Conan creator Robert Howard (1906-1936). The greatest praise for Tolkien, of course, regards the obsessive detail with which he created his world. Being a linguist and professor at Oxford, Tolkien was in a unique position to create an alphabet for the races of Middle Earth, not to mention all the wonderfully phonetic names and places. This ushered in an age of “world-building”. To this day, fantasy writers feel it necessary to invent new languages for their characters, whether they know anything about linguistics or not, and the genre has suffered as a result. When Tolkien developed elf speech, it was a sincere effort, but when others do it, it feels contrived and derivative. The same pretty much goes for any elf or dwarf novel I have read (14 and counting). In my view, if you’re going to write about elves, you better have a pretty clever idea for it, otherwise, why not re-read The Lord of the Rings? Fantasy is supposed to free our imaginations, not limit us to Anglo-European mythology. After reading a good book, readers should feel transported, not scratching their heads going, “Oh, this author sure liked Lord of the Rings.” This is not to say that Tolkien’s contribution to the genre is all bad. On the plus side, there is a greater pressure among us writers to create worlds that are convincing. While it is far from necessary to turn every novel into a pseudo-history, it’s a powerful thing when a world is written as though some history predated it. So, has this attention to detail made Tolkien beloved the world over? I don’t think so. If that were the case, the many authors emulating him, some of whom are better story tellers, would be better known. What sets The Hobbit and The Lord of the Rings apart is that they do not feel invented. They fall under a special category I like to call found stories; like Peter S. Beagle’s The Last Unicorn, Tolkien does not seem to have invented Middle Earth so much as dug it up from his backyard. For this reason, it is impossible to imitate him and get the same results, because any imitation, by its very nature, loses that sense of discovery. But people love the worlds of Tolkien, I think, for the same reasons they love Dungeons & Dragons, World of Warcraft, Dragon Age or Skyrim. 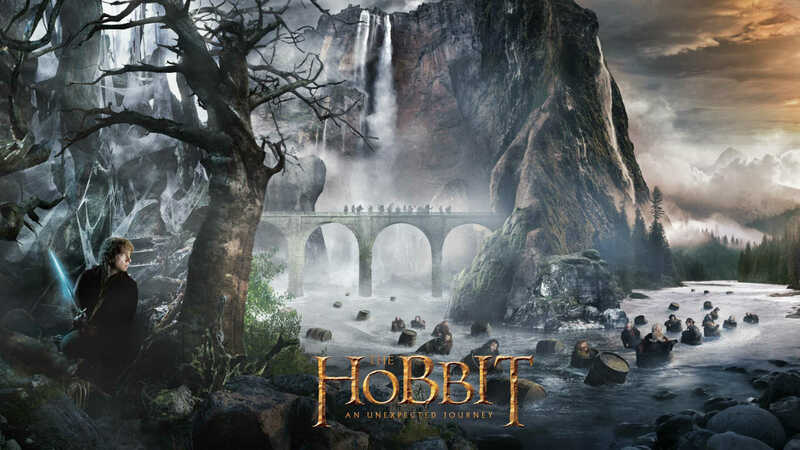 Watching Jackson’s The Hobbit, I could not help but feel inspired by the stirring music and sweeping landscapes. The story touches an integral part of our identity as human beings, bringing about what we have long forgotten but yearn to remember, a shared collective memory of swords and wizards and monsters, from a mythical past that never was. Robert Holdstock, author of Mythago Wood, calls these hidden cultural memories mythagos. But this isn’t magic I’m talking about. Doubtless there is quite a bit of paleo-psychology at work. People shown paintings of open landscapes feel a sense of comfort, because our ancestors felt more secure in such places. Goblins, orcs and trolls are remarkably human, terrifying us because they conjure latent fears of our human-like enemies, like the Neanderthal. Wargs are nothing more than nightmarish versions of wolves. More importantly, as a species, we have always been nomadic. How else could we have colonized every niche and corner of the globe? It is not in our natures to sit at home, reaping the rewards of money and progress, but to wander new frontiers, go searching for new challenges to overcome. In this twenty-first century, we have lost a great deal due to the fact that there are no more Middle Earths to discover. We feign contentment, like Bilbo Baggins sitting at home, but what we really yearn for is a Gandalf to come knocking inviting us to adventure.